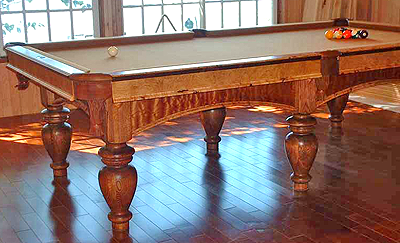 Express yourself with a custom billiards table designed to your exact specifications by our full service design team. 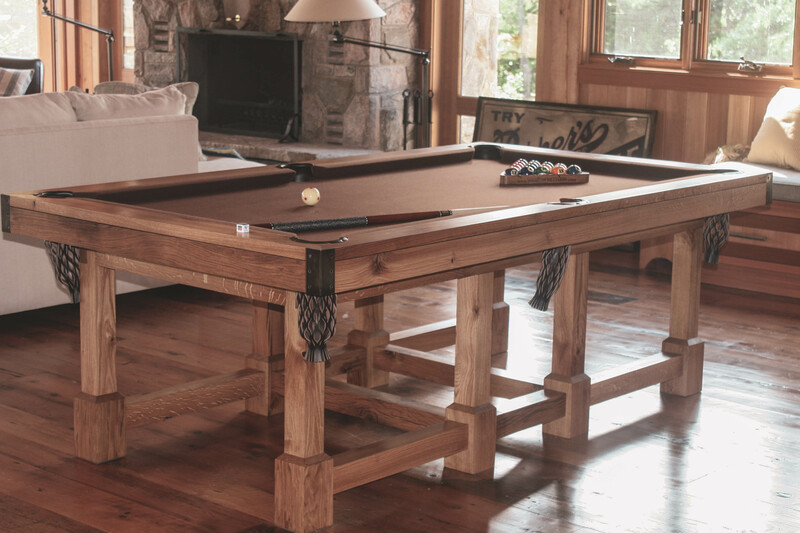 Meticulously crafted with an artisan’s eye, our billiards tables are built to suit your needs. 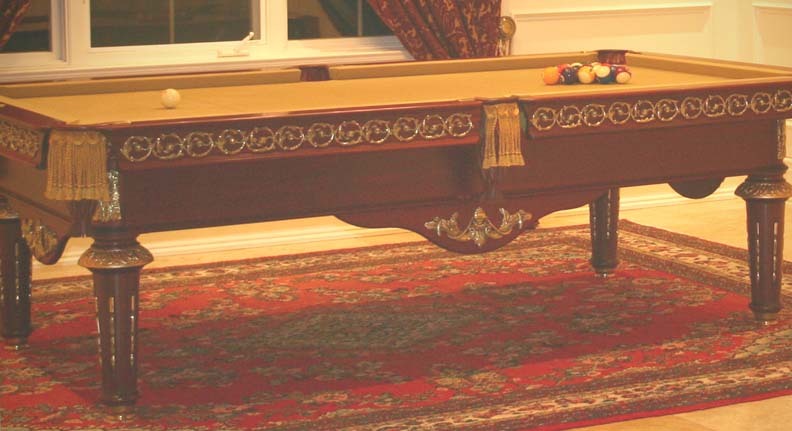 Whether it’s a specific size table to fit perfectly in your game room, or a beautiful and elaborate design that matches the aesthetics of your home, we can make it happen. 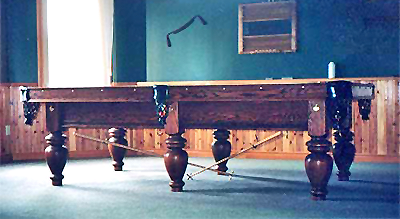 With over 30 years of experience in designing, selling, and servicing both cue sports tables and their respective equipment, we have a customer driven approach to meet the highest expectations with unmatched craftsmanship. If having a table specifically designed isn’t what you’re after, we also sell many antique and vintage tables that might be just what you’re looking for. 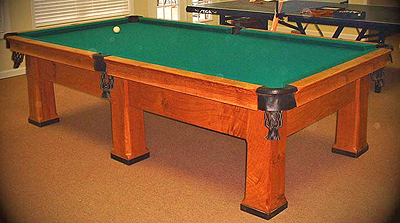 After all, Custom Billiards got started as a business by refurbishing and restoring old tables. We have the experience and knowledge to help you find exactly what you’re looking for. 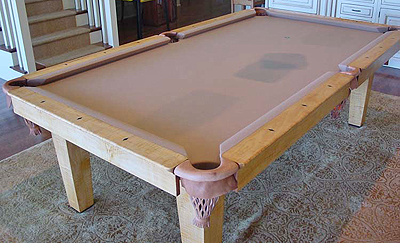 Whether you’re seeking a fixture for a commercial resort game room or a classy, executive home game room, custom pool tables from Custom Billiards add that extra style that makes each piece of furniture unique. Our ultimate dream is to meet your needs perfectly. If you aren’t satisfied, we feel we haven’t done our job. 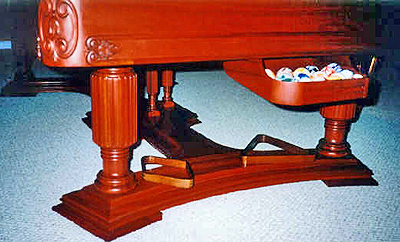 Our significant experience in all things billiards related has established us as an authority in customer satisfaction. 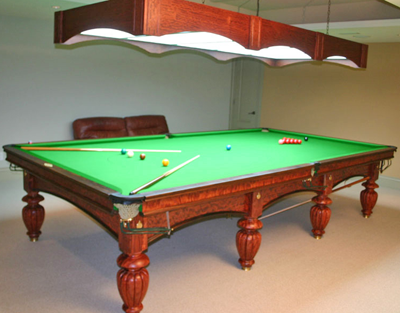 We know exactly how to handle all aspects of your pool table, from balls to bridges to rakes, and even maintenance and repairs. Endless leg, frame and pocket, styles, slate thickness, customized leveling or moving apparatuses. Rails styles, club or steel rail for precision, even customized rail sights. Then table accessories, customized lighting, seating, cue racks and many more, even custom cues or rakes and Monogramed Triangles to add an extra flare to the decor and quality to the game. We have the experience to ensure that your finished masterpiece arrives in perfect shape, ready for a lifetime of use. Our custom billiards tables are crafted with the highest quality materials; Artemis Pool Rubber and World Championship matched set, Northern Rubber for snooker tables. We feel anything less is not worth your money! 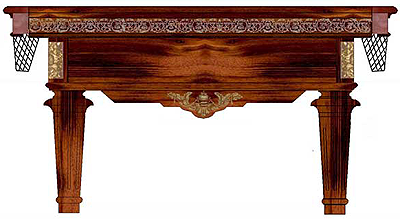 Our customers know they can trust our precision craftsmanship and keen attention to detail. 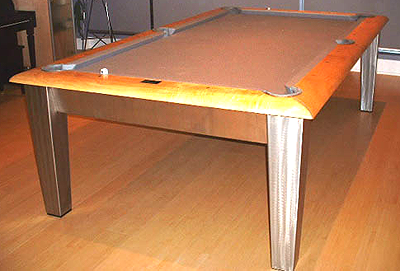 It’s our goal to be a part of your exciting decision to get a pool table, and to provide you with the tools for creating the great memories that can be had with family and friends around a billiards table. Our passion for cue sports coupled with our experience make us the perfect candidate for helping you find exactly the table you’re looking for, and you can rest assured that we’ll take every measure to help with each step of the process. We take pride in our work. Be sure to check out our portfolio for some beautiful examples of custom tables and ideas for your very own custom build. We hope to hear from you soon!